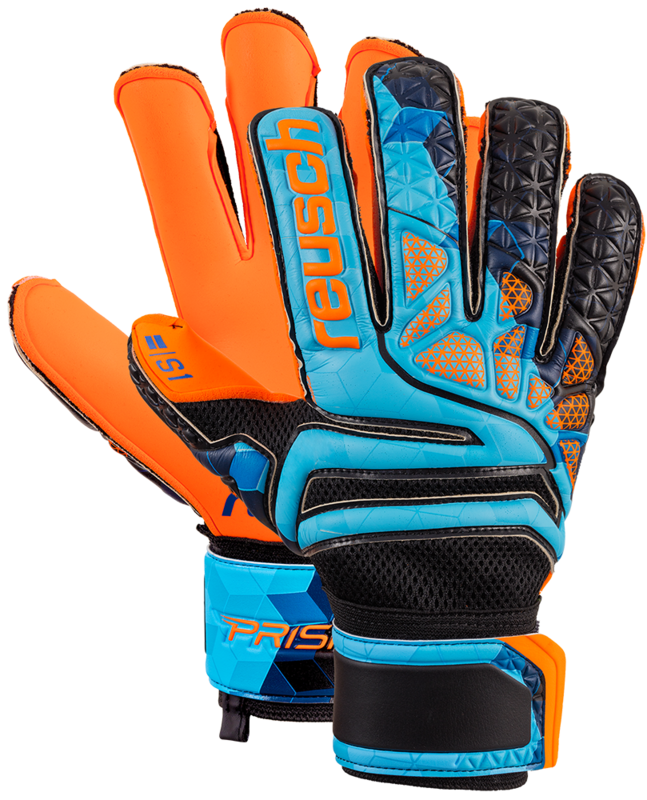 Reusch's S1 Super Soft Grip foam, in shocking Orange, is a high quality palm made of all natural latex. It offers excellent gripping properties whilst still maintaining durability, which is very important for goalkeepers. Super Softi Foam backing material. Embossed foam design makes the glove more flexible at many breakpoints. AirVentSystem uses highly breathable Air Mesh material to make the Reusch goalkeeper glove more comfortable. The new Evolution ESS Cut - Revolutionary hybrid of a roll finger cut and Reusch's Rolled Expanse Cut. Ergonomic Support System, ESS, uses a pattern that helps the fingers to be pre splayed, which helps adult goalkeepers catch the ball using the correct technique. This ESS is used on a majority of Reusch's higher price point goalie gloves. This glove also features Reusch's #D Thumb Crotch technology for extra comfort and support. Full strap Wrist Bandage with embossed latex strap for comfort and support of the wrist. Performs best in dry conditions, but is a good all rounder. Excellent gloves. My son used these for a professional tryout and they performed well.